The first up-to-date summary and review for the fundamental principles and industrial practice of adsorption separation processes in more than 30 years. Emphasizes the understanding of adsorption column dynamics and the modeling of adsorption systems, as well as fundamental aspects of kinetics and equilibria. DOUGLAS M. RUTHVEN, PhD, is Professor and Chair of the Chemical Engineering Department at the University of Maine. A Fellow of the Royal Society of Canada, he is the author or coauthor of three books on adsorption and adsorption separation processes. 7. Principles of Adsorption and Adsorption Processes [Hardcover] Ruthven, Douglas M.
8. 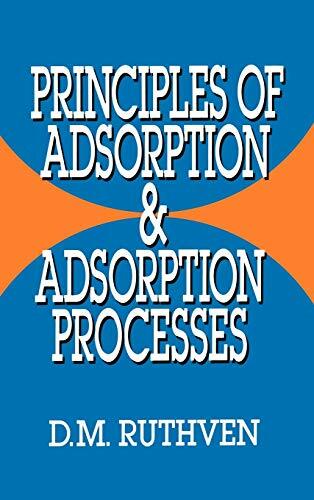 Principles of Adsorption and Adsorption Processes [Hardcover] Ruthven, Douglas M.